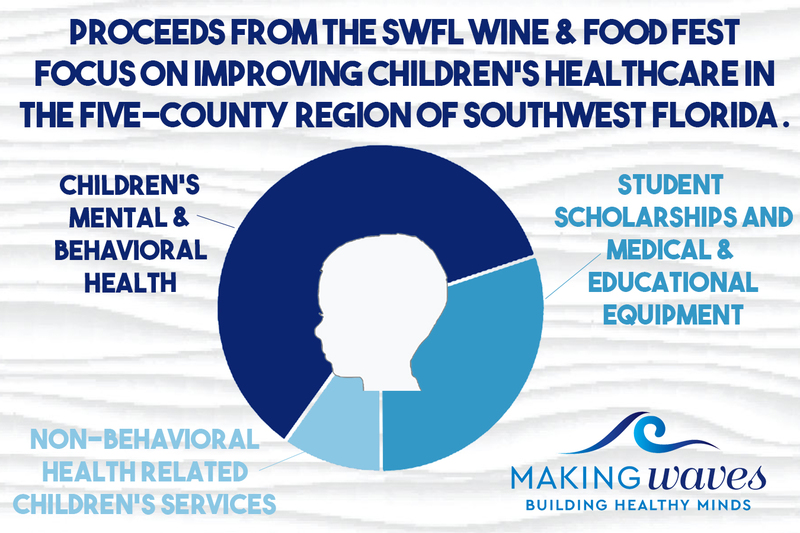 SWFL Children’s Charities, Inc.’s 2016 Southwest Florida Wine & Food Fest has raised more than $2.8 million and counting, with 100 percent of the proceeds directly benefitting pediatric health care in Southwest Florida. Made possible by title sponsor Pitbladdo Holdings, LLC, the two-day signature fundraising event featured Chef Vintner Dinners on Feb. 26 and The Grand Tasting & Live Auction on Feb. 27, where more than 300 came together at Miromar Lakes Beach & Golf Club to raise money for SWFL Children’s Charities, Inc.’s beneficiaries, Golisano Children’s Hospital of Southwest Florida, and pediatric programs and scholarships at Florida Gulf Coast University and Florida SouthWestern State College. Following The Grand Tasting & Live Auction, festivities concluded with a Relax & Re-Wine After Party at SS Hookers Waterfront Restaurant, hosted by the Southwest Florida Wine & Food Fest co-chairs Sandy Stilwell and Andie Vogt, which featured a live performance from award-winning country music entertainer and singer songwriter Billy Dean & Steel Horses. The highlight of the event was the Live Auction, which featured a selection of more than 40 exclusive domestic and international getaways, delectable wine and culinary offerings, and once-in-a-lifetime experiences to be auctioned off to the highest bidders, with 100 percent of the proceeds to benefit SWFL Children’s Charities, Inc.’s beneficiaries. 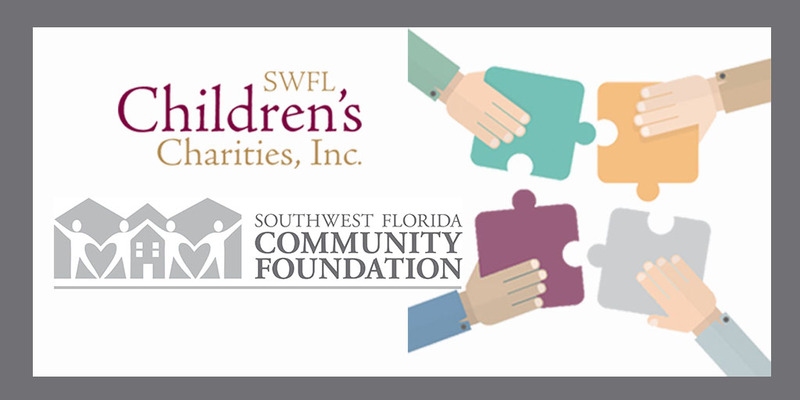 “We are blown away by the generosity and kindness of the many guests, donors, sponsors, vintners, chefs and volunteers that participated in the Southwest Florida Wine & Food Fest, and we are so grateful for all who came together to show their support of SWFL Children’s Charities, Inc., our beneficiaries and the countless children that will be impacted by the funds raised during this event,” said Sandy Stilwell, co-chair of the 2016 Southwest Florida Wine & Food Fest. 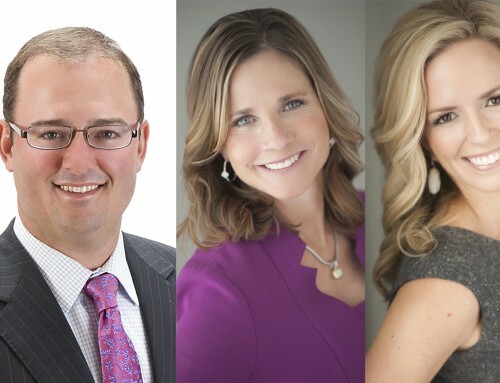 “The success of this year’s event is all thanks to the wonderful supporters who have shared their time and resources to support this cause, and simple words cannot express our gratitude for the many amazing individuals within our Southwest Florida community,” added event co-chair Andie Vogt. The most anticipated item up for bid during the Live Auction was the Cliff Williams and Mark Loren auction lot, featuring a signed bass guitar played by Cliff Williams, AC/DC bassist and Rock and Roll Hall of Famer, and a one-of-a-kind piece of jewelry of an AC/DC guitar pick pendant adorned with diamonds and gems, suspended from an original Williams’ bass guitar string, created by international award-winning custom jewelry designer, Mark Loren. This highly coveted lot went for a total of $140,000 at the Wine & Food Fest, the highest single bid of the afternoon. The once-in-a-lifetime package that received the most attention from auction-goers was an exclusive four-night trip for four people to the Bahamas, where the winning bidder will have the opportunity to enjoy a round of golf and day of fishing with Justin Rose, the 2013 U.S. Open Champion and current #7 world-ranked professional golfer. After an intense competition amongst bidders, the auction closed with a winning bid of $100,000. Multiple international travel packages were also among the most popular auction lots. A classic African safari featuring 13 days in Kenya and Tanzania went for $55,000. The Southwest Florida recreation of the James Beard House-style gourmet dining experience was a popular item amongst auction-goers, raising $100,000. 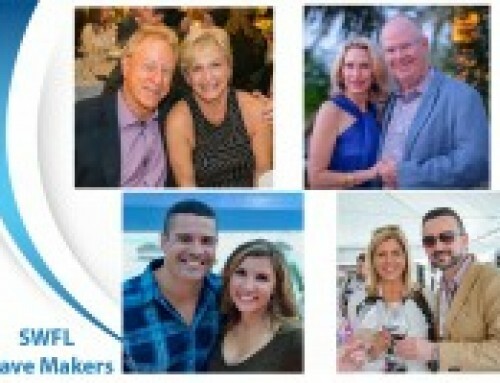 With bids of $5,000 per couple, 20 couples reserved their seats at Sea Salt Restaurant in Naples on Oct. 30, 2016, where they will enjoy an exclusive evening of culinary distinction, hosted by Southwest Florida’s award-winning chefs, Chef Fabrizio Aielli of Sea Salt, Chef Harold Balink of Harold’s, Chef Todd Johnson of Rumrunners and Chef Norman Love of Norman Love Confections. Generous vintner donors doubled their original donations to the Live Auction, allowing additional bidders to compete for an exclusive experience. A trip to Napa Valley for a five-night stay for eight at Gamble Family Vineyards was donated a second time, bringing in a total of $80,000 between the two bids. Honored Signature Vintner, Williams Selyem Winery, also donated another trip for guests to become winemakers for a day, with a three-night trip for four to Williams Selyem Winery, which raised a total of $40,000. In addition, Carter Cellars doubled their donation of a three-night wine country journey in Napa Valley and Humboldt County for four people including dinners, tours and tastings at Hotel Carter in Eurkea and Envy Wines, as well as original artwork by Sherri Carter. Sold twice, the Carter Cellars “Art of Wine” package went for a total of $40,000. 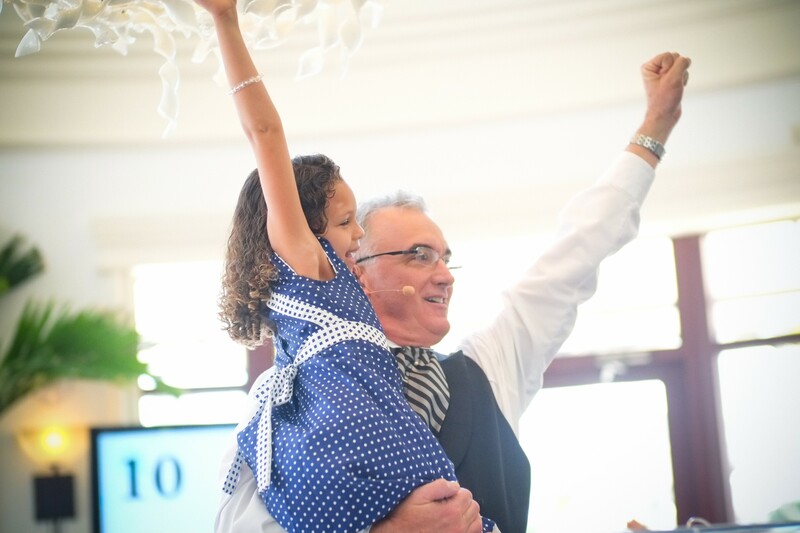 In addition to the fun and excitement of the afternoon, the Live Auction also featured heartfelt examples of the event’s impact on children in Southwest Florida. 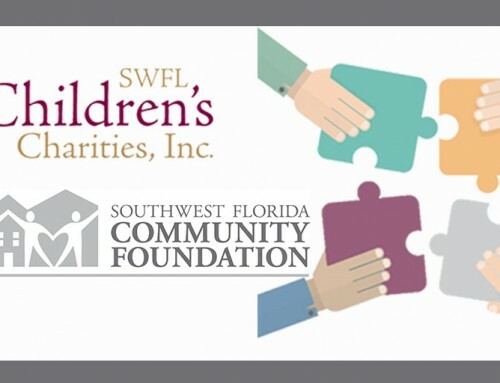 As a young patient of Golisano Children’s Hospital of Southwest Florida, 2016 Child Artist Avery McCaskill’s touching story brought the room to tears, as her mother shared their unique experience with Golisano Children’s Hospital of Southwest Florida and SWFL Children’s Charities, Inc.’s child artist program. Young Avery’s one-of-a-kind painting of an owl raised $150,000 for Golisano Children’s Hospital of Southwest Florida. Her work of art will be put on display at the hospital for patients and visitors to enjoy. Dozens of enthusiastic attendees also raised their paddles to show their support for the new Golisano Children’s Hospital of Southwest Florida through SWFL Children’s Charities, Inc.’s “Fund-a-Cause” initiative, “A Million Reasons to Give.” To date, a record-setting total of more than $800,000 has been raised to help Golisano Children’s Hospital of Southwest Florida provide the special surgical instruments and communication and monitoring technology that a state-of-the-art children’s hospital needs to effectively serve its patients. 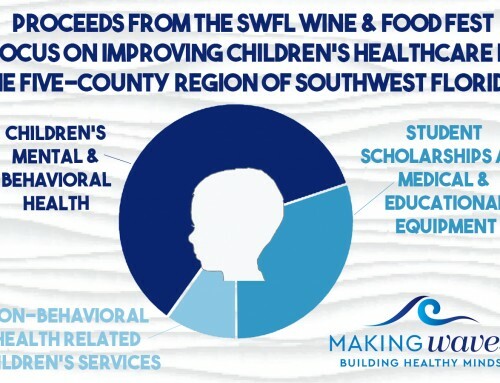 Donations of $100 and more continue to be accepted online, at swflwinefest.org/give-to-give/. The afternoon concluded with the Pass the Hat portion of the Live Auction, where auction-goers generously added a variety of donations to the top hat, including cash, jewelry and college scholarships to FSW and FGCU, donated by the foundations of both institutions. The unique auction lot brought in a total of $60,000 at the 2016 Southwest Florida Wine & Food Fest.